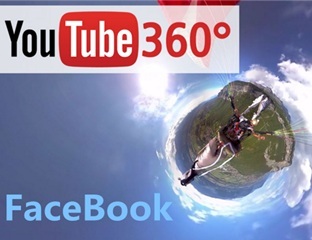 These days you may have seen a lot of the new amazing 360 degree on FaceBook and YouTube. Even at the recent Justin Lin's HELP, various 360-degree videos were shown. Besides that, games like 360 Degree, Insidious VR, Archery 360, Spin 360, 360 Panorama, and more games are all coming in 360 degrees. While many users are flocking to 360 video download, another question comes. With this new technology growing fast in popularity, users are gearing up to jump on the trend wondering if there is any good vr 360 video recorder that can help them to create the incredible panoramic 360 degree experience. In this quick guide, we will answer these questions like how to record 360 videos online, is it possible to record 360 degree gameplay, what are the best vr 360 degree video recorders apps to make virtual reality videos on iPhone Android etc. Part 1: Is It Possible to Record Online Virtual Reality 360 Videos? "I would like to record a 360 degree video of my screen from YouTube to share with my friends. I've looked online for a 360 degree video capture software but can't find an answer. Any screen recorders for 360 videos online?" When you record 360 degree videos, be aware that you are only recording what the screen is showing. 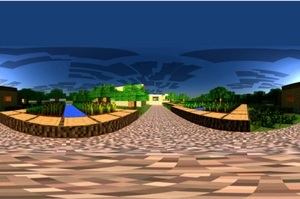 In other words, the pictures in the other fields of view are missing, unless you can play the video in 360 degree view. That's hard. In a word, there is no such a screen 360 video recorder that can capture 360/virtual reality videos online without affecting the 360 views. A roundabout & solution is available: free download 360 videos instead of 360 video recording. For that, downloaders like MacX Video Converter Pro will be a good choice, which can download virtual reality 360 degree, 3D, Bluray, 4K/HD videos from 1000+ sites without quality loss. Part 2: Any 360 Degree Video Recorder Can Capture 360 Degree VR Gameplay? How to record 360 videos gameplay? Possible? Fraps-like or other regular recorders means also that they will record the games like a normal screen game recorder. No 360 video capture software for games is available currently. Now what you can try is to capture videos of the game from one angle, and stitch and render these videos into large panoramas. The 360 video recording alternative downloader mentioned above can help you record the screen game from a single angle in HD, and several 360 stitching software like PTGui, Kolor may also help. But it's really hard to make the video flawless without any jugged edges. You may know how to record (get) 360 videos to play on vr 360 video players, now the question comes to how to record 360 videos, on iPhone, Android or with professional cameras. There are many famous picture 360 camera apps like 360 Panorama, DMD Panorama, Sfera, PicSpin360, but the 360 video recording apps for iPhone Android are not easy to get. Below we gather around the top 360 vr cameras as well as the best 360 degree video recorder apps for iPhone, iPad & Android you can try. 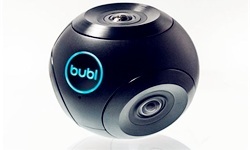 The Bublcam is the first 360 panoramic video camera to record the surroundings around you without no blind spots. Users can use the Bublcam or via the mobile apps for iOS or Android to record 360 videos. It makes it easy to share 360 vr videos taken with the device from it, and allows users to wirelessly access the videos from the apps on iPhone, Android or PC. The 360 degree videos are compatible with VR headsets like Google Cardboard, Samsung Gear VR, Oculus Rift etc. 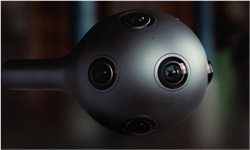 Nokia OZO is a welcome 360 video recorder to shoot the 360 3D full view, especially for filmmakers. The Ozo houses 500GB storage and a battery that can run for 45 minutes from a single charge. In partnership with Disney, we will see more and more Disney 360 VR movies using the 360 panoramic camera to creat 360- degree, 360-degree, virtual reality content. The recent 360 trailer of The Jungle Book is also recorded with Nokia OZO. The Giroptic 360cam comes with a very different design. 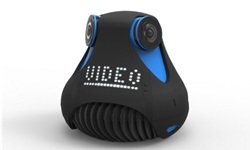 It's the first full HD camera that will record 360 degree videos through spherical angles. It will save the 360 video captured on microSD card, which you can load onto computer via a micro USB port, or via Wi-Fi. Also it's the first and only existing 360 degree video recorder that is capable to record the full spherical videos as MP4 files without using any software or post processing. It allows users to record 360° video in 2K and shoot picture 360 vr in 4K. 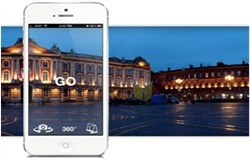 Cycloramic is an app to make 360 panoramic videos with iPhone and Windows Phones. This 360 degree video capture app for iPhone has been well received ever since its release. The distinct feature lies in its ability to rotate iPhone around to capture 360 videos without user intervention, generating hands-free 360 video recording experience. It works with iPhone, iPad and iPod touch on iOS 8.0 or later. 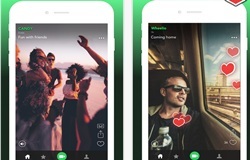 Splash is a new app that allows users to shoot 360 degree videos on iPhone. Users can create and record 360 videos of their surroundings with just iPhone, and view them on the phone or VR headsets like Google Cardboard, or upload to Facebook or YouTube etc as a link. This 360 video recorder app for iPhone sets it apart from others for that it can record 360-degree videos in addition to static pictures. Currently we haven't found any vr 360 degree video recording app for Android that gives the phone or tablet ability to record videos in 360 degree. Don't worry, there are hardware 360 panoramic camera that may help. For example, Samsung Gear 360 is designed to bring users an all-in-one 360° video capture experience by recording videos at 3840x1920 @ 30fps and edit with a dedicated app on Galaxy S7.